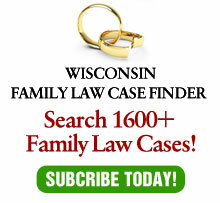 Maybe I should temper my complaints about Wisconsin’s disciplinary system: An article in the online ABA Journal today tells of a lawyer with over 1,100 bar complaints. Moreover, the lawyer has been suspended since 2009 while the California SC is considering a disbarment recommendation. Two questions: First, what is taking their system so long? I mean, it makes Wisconsin’s system look lightening fast. And second, why is this lawyer contesting it? Does he really think he has a chance of keeping his license?